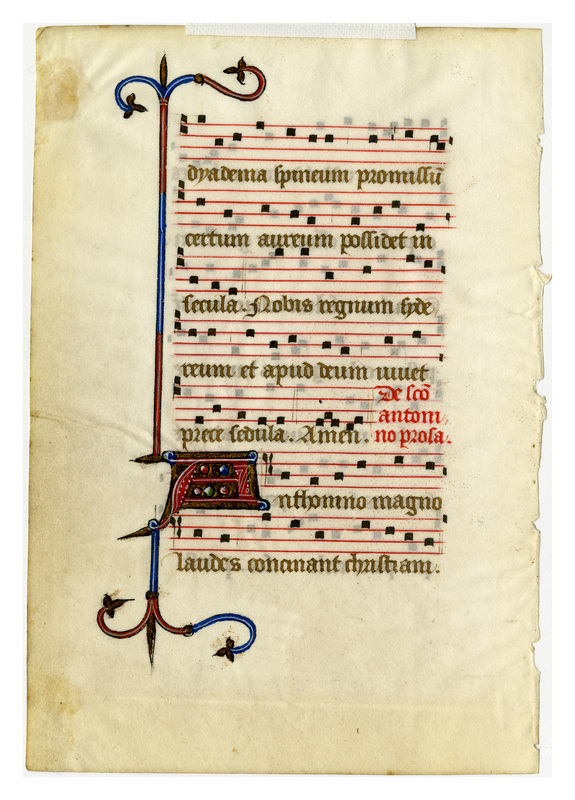 At important festival services such as Christmas and Easter these small hymnals were generally used by the laymen as they walked in procession to the various altars. Much of the material incorporated in the hymnals was based on folk melodies. Hymns, like the other chants of the Church, varied according to their place in the liturgy. Their melodies are frequently distinguished by a refrain which was sung at the beginning and at the end of each stanza. The initial letter design of this leaf persisted with little or no change for a long period, but the simple pendant spear was used as a distinctive motif for not more than twenty-five years. The ink for the main text and the notes is a dark grey. A distinctive spear or javelin stands guard along the left margin of one side of the leaf. The vellum is clean and bright, and the red, blue, and white inkwork has been very carefully applied; the gold leaf, too, shows an expert's hand and has survived the centuries beautifully. 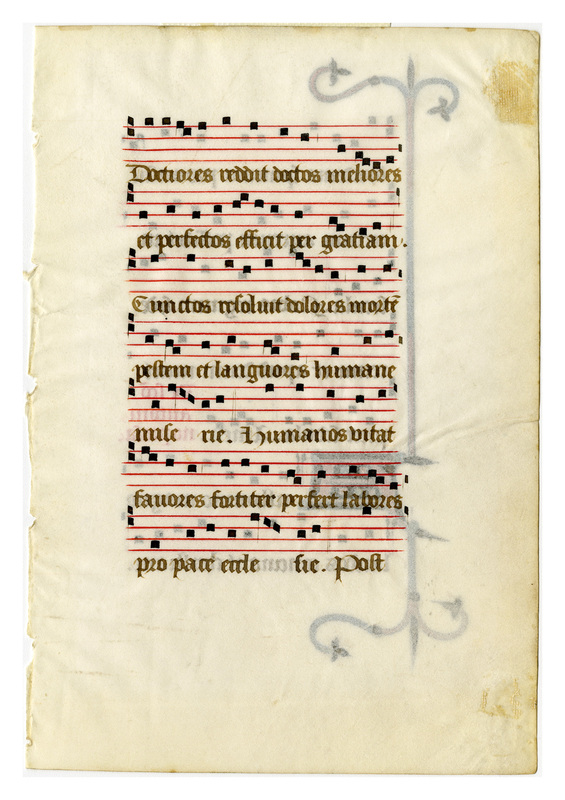 “E0021 Leaf from a Hymnal (Hymnaruim),” Digital Exhibits | Denison University Archives & Special Collections, accessed April 23, 2019, http://exhibits.denisonarchives.org/items/show/71.